Not only the reliability of supply, but also the quality of electrical power is becoming increasingly important for the smooth operation of high-tech equipment. 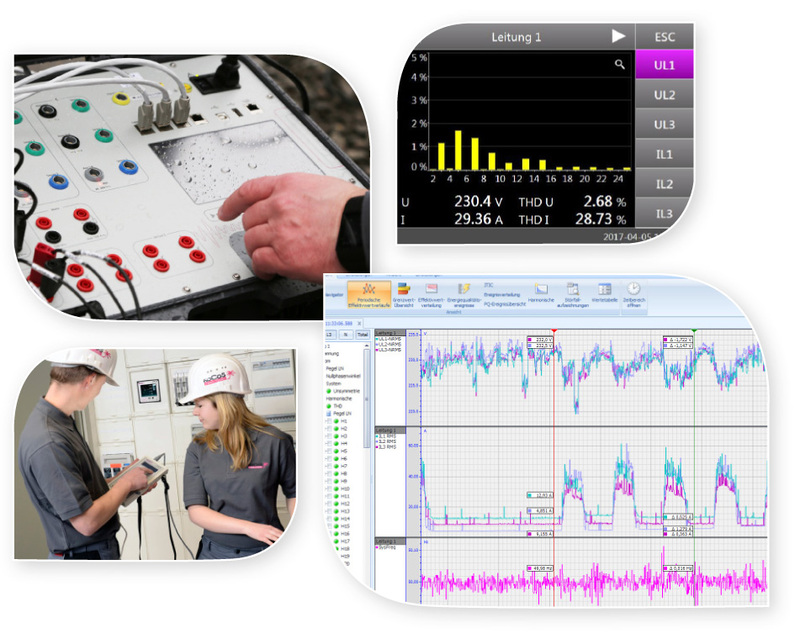 As a manufacturer of powerful power quality measuring systems and fault recorders, we are the perfect partner for project management, installation, configuration and support of power quality measurement campaigns as well as for acceptance measurements in your installations. Our highly reputed experts analyse and assess the recorded measurement and disturbance data in accordance with current standards or your own individual requirements. We work together with you to develop concepts for optimisation and remedial measures and we support you during their implementation. Measurement equipment is often needed for short-term, one-off assignments or to complement the existing device pool for a specific project. Our low-cost, flexible rental offer for rental devices from the EPPE and SHERLOG product lines for power quality analysis and fault recording are easy on the pocket and help you to get started while keeping costs manageable. For network operators and for industry, knowledge of the relevant technical rules and standards and their practical application is especially important for the safe and reliable operation of distribution networks. Lifelong learning is essential here. Our employees and external experts can train you in all aspects of power quality. Whatever the subject matter of the training course - power engineering basics, questions involving standards or legal issues related to power quality, the interpretation of the features of the quality of supply or the derivation of remedial measures - the information content is communicated systematically and efficiently using a mix of theoretical and practical exercises.